Grief support meetings where parents can share their experiences. Subsequent pregnancy meetings for parents expecting another baby to support their special emotional needs. One-on-one peer support from a HAND volunteer via phone an/or email. Information and referrals for bereaved parents and professionals. Hospital visits and labor support to parents experiencing a neonatal loss. Bedside support for mothers giving birth after a prior loss. Presentations for healthcare and mental health providers. Helping Hands newsletter. We distribute our Helping Hands quarterly newsletter to parents, hospitals and health care providers, and you can also subscribe. Back issues are available upon request. Limited financial assistance is available to help with funeral expense. Bereaved parent playgroups that offer meaningful play and support to parents who understand the unique position of being a parent to both living and deceased children. 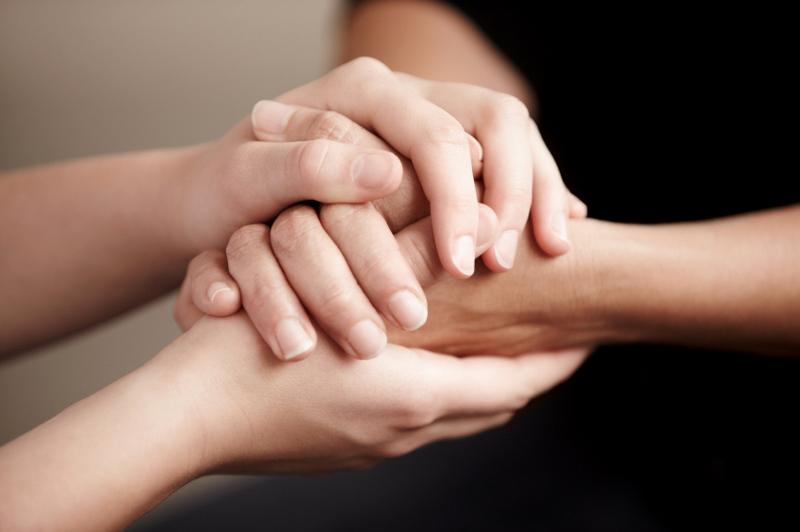 HAND volunteers are not professional therapists, but may offer referrals to licensed psychotherapists. Each October, during National Pregnancy Infant Loss Awareness Month, HAND of the Bay Area hosts a Service of Remembrance for parents, families and friends who are or have been involved with HAND. All are welcome to join us in honoring and remembering babies we have lost. Before the event we encourage you to submit photos, poems, drawings, stories and your baby’s name or nickname, which will be read during the program. You’ll hear beautiful, reflective music performed and breakfast beverages and snacks will be served. We also provide wildflower seeds to scatter after the formal part of the service, and sometimes do a butterfly release. It’s always a special time spent together with all those in the HAND family.